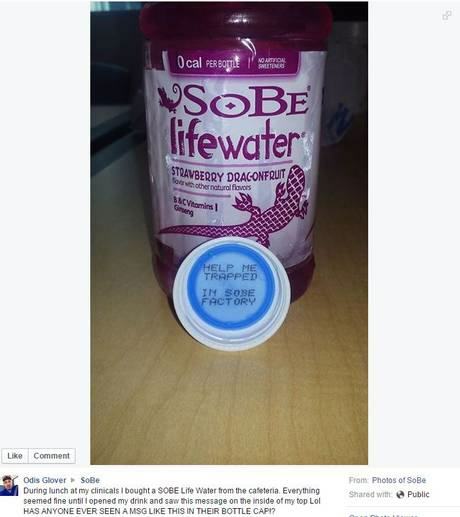 SoBe Lifewater managed to cause quite a stir this week, after taking the concept of a message in a bottle a little too far. 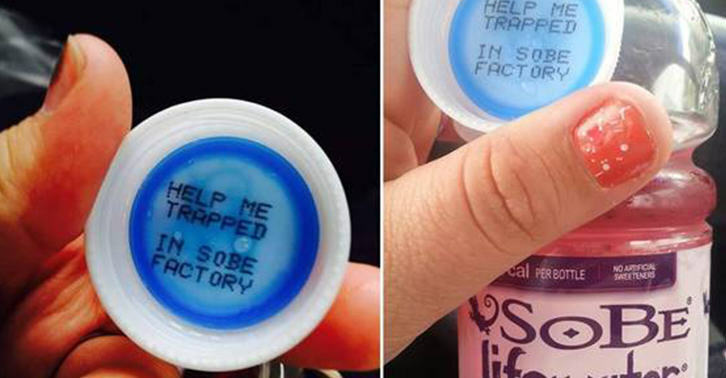 SoBe are owned by PepsiCo, and saw their Facebook page flooded with confused posts by people who had purchased the bottles and opened them to discover various messages of distress. Said messages claimed ‘help me, trapped. In SoBe factory’ and had many people thinking that their factory workers were in some sort of plight or that one had gone rogue at the very least. Luckily, it turned out that things were not nearly as sinister as they seemed, with the company issuing an apology and admitting that their joke had gone wrong. 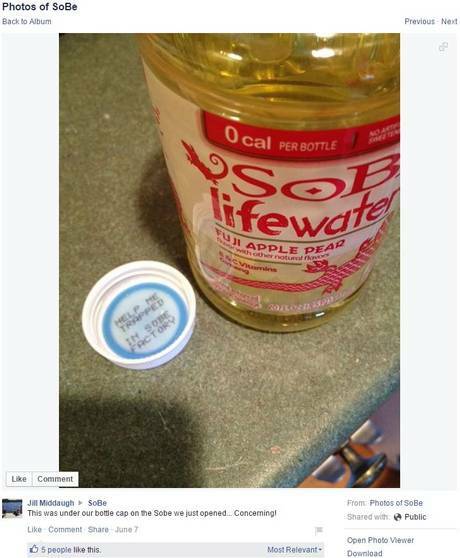 Apparently, they print messages on their bottle caps all the time. But to be honest, whoever thought of this one took it a little too far.